Like for all new cool projects, there is an official docker container for minio, so it takes just a few seconds to test it locally or to deploy it to sloppy.io. As it is very lightweight, you can start minio even within our 14-day trial and connect persistent storage to it. Let’s get started and click “Create a new project” in our dashboard. 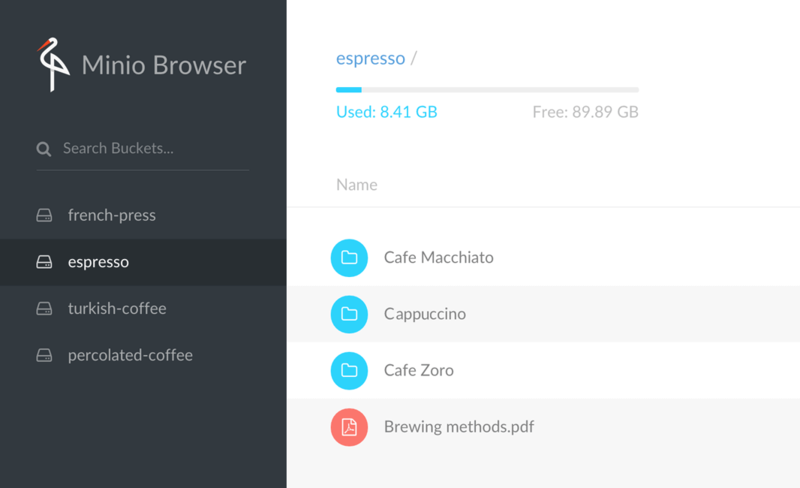 CMD is minio server /export to start minio as a server and use /export as the directory for our data. The same directory was added as a volume automatically. Choose a free *.sloppy.zone domain. The exposed port should already be filled as sloppy.io is reading the manifest file from the docker image. “/export” is the path where minio writes its data. Because the people from minio.io defined this path in the Dockerfile (well done ;)! ), sloppy.io takes this info and adds this volume for you. And that’s it! 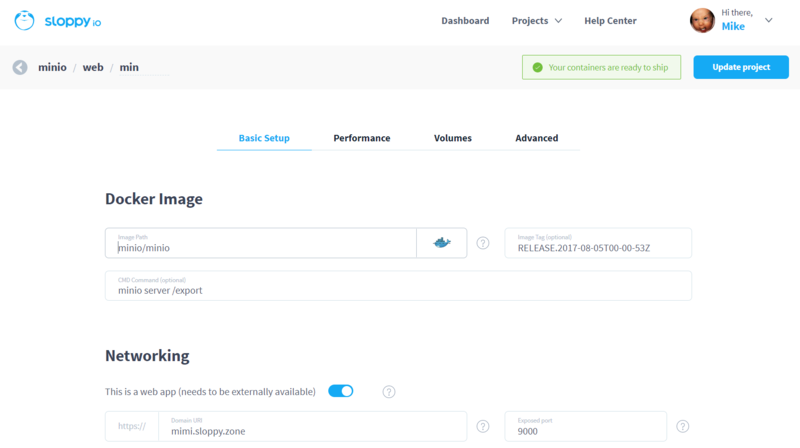 Click “Deploy project” and sloppy.io will start with the deployment. Now, click “Analytics” and check the “Live Logs.” Here you will find the access key and the secret key. You will need this info to login into you minio server. Now we have saved a file in our minio object store. Let’s check it via CLI. Get the right version for you at https://docs.minio.io/docs/minio-client-quickstart-guide. where joomla.jpg can be any file on your PC.